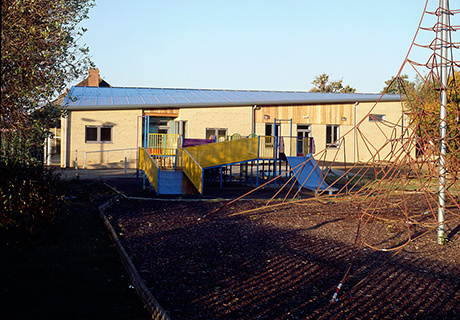 Barefoot & Gilles acted as architect and project manager on this project and employed the whole design team, working closely with Ipswich Borough Council, the Play Centre manager and service users. The new play centre replaced some aged portakabins with an attractive but robust new building. By understanding the site constraints early we were able to develop a design that avoided a major foul sewer and thereby save considerable expense and delay. 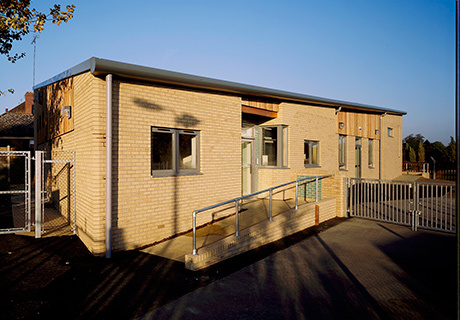 The dynamic triangular building has a monopitch roof which allows the whole roof to be monitored efficiently by CCTV, and deliberately high eaves improve security.